Walking hours : 5-6 hours on average. 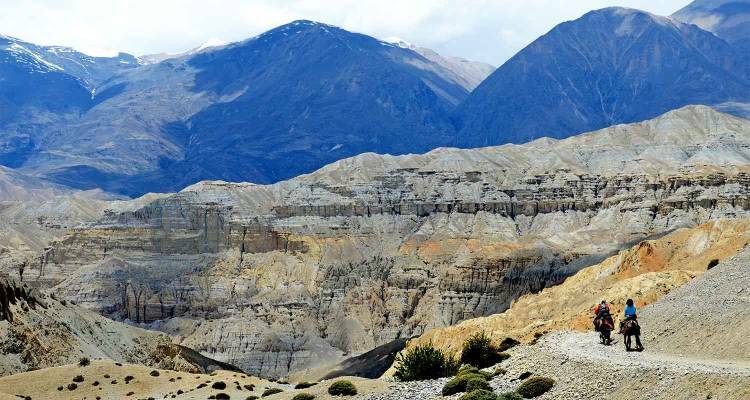 Mustang valley, a rain shaded area behind the Annapurna and Dhaulagiri Himalayas of Nepal where the place called Upper mustang lies, is the land of an old kingdom rich in culture and the history. 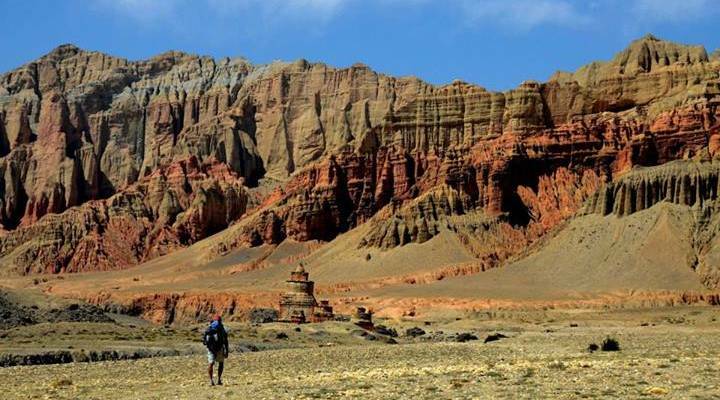 The Upper Mustang Trek itinerary takes you through the hidden kingdom of Nepal “Lomanthang” to experience the best cultural experience you will encounter. 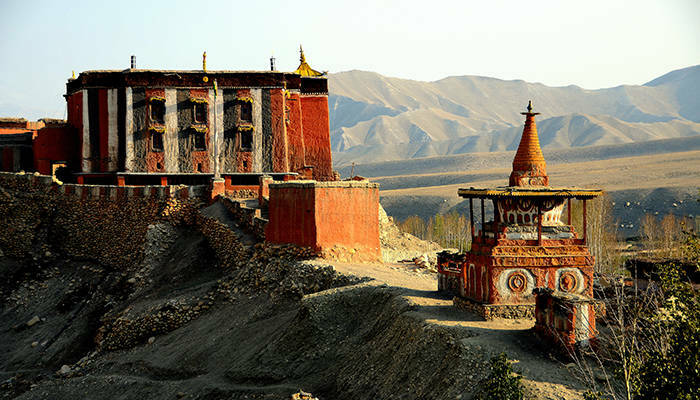 Though Upper Mustang is part of Nepal, it used to have their king until 2008. 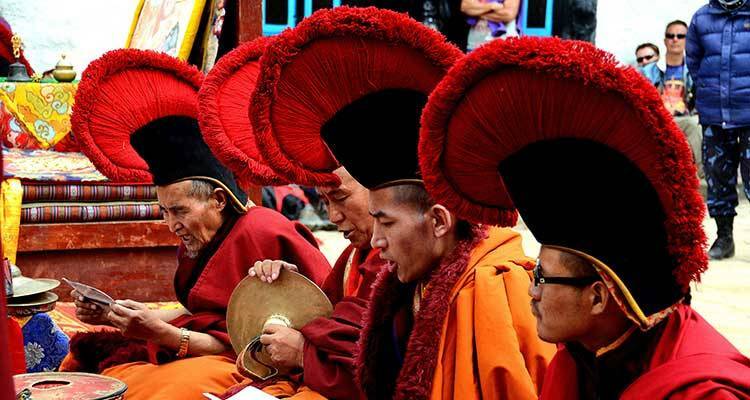 It is the only place where old Tibetan Buddhism is still practiced. The place believed to be settled 5000 years ago by the Tibetan descendant where human inhabitant caves a can still be seen and visited. The valley formed by one of the biggest and the holy river of Nepal(Kali Gandaki) has a unique and colorful landscape, rock formation are artistic and no wonder why the high monks choose to meditate around here. 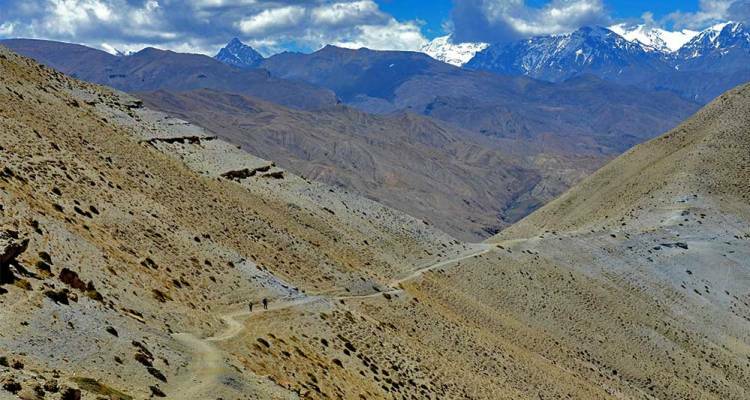 Once important routes for salt traders between people of lower mustang and Tibetans and is now an important place for trekker’s since 1992 after the government allowed people to trek there. This land in here is dry and desert like place with snow capped mountains around. Trekking in Lo Manthang will be one of a highlight in your personal travel book. The capital of mustang as called by locals is Lo Mangthang. Visiting around the village of Lo Mangthang (the walled city) in a day which has around 150 houses made of clay and the stones. One of the famous festivals called Tiji can be witnessed in here. The festival is one of the most sacred and colorful costumes enact the story of Dorje Jono who fought against his demon father to save the kingdom of mustang from falling apart. The festival is held annually at the onset of spring season. As spring season symbolizes regeneration of life, hope and revival and affirmation of life. Explore the caves where people lived more than 5000 years ago. 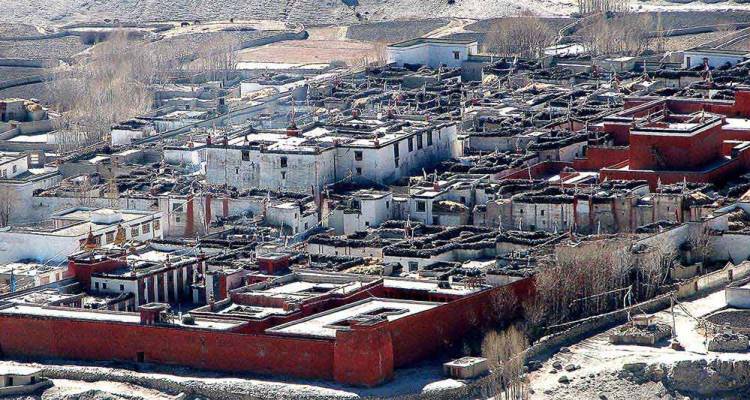 See and feel the mud villages and one of the old Thanka paintings and the palace of Lo-Manthang. View of Dhaulagiri (8176m), Nilgiri (7061m), Tilicho Peak (7134m). Accommodations in twin bed Sharing BB plan basis in Kathmandu for 3 nights and Pokhara 2 nights in a standard Hotel. Tea house lodge during trekking days. Most of the tea houses are basic standard but we provide the cleanest and comfortable one. Flight 30 minutes / drive 7 hours Kathmandu to Pokhara and Pokhara to Kathmandu. Transportation by private car starting and after the trek to Pokhara. Travel & Health Insurance- Emergency Helicopter Rescue Insurance. Any kind of drinks, phone calls, laundry service, hot shower, battery charges and WiFi. Unforeseen cost such as flight cancellation or delayed cost due to bad weather. Day 03: Fly/drive to Pokhara, flight 30 minutes/Drive 7 hours, hotel. Day 06: Chele to Geling (3570m), 1160m uphill, 680m downhill, lodge. Day 14: Giling to Chhuksang (3050m) 5-6 hours, lodge. Day 15: Chhuksang to Jomsom (2710m) 6-7 hours, lodge. Day 16: Jomsom to Pokhara. Flight 25 minutes, hotel. Day 17: Fly/ drive to Kathmandu: Flying 30 minutes, drive 7 hours, hotel.